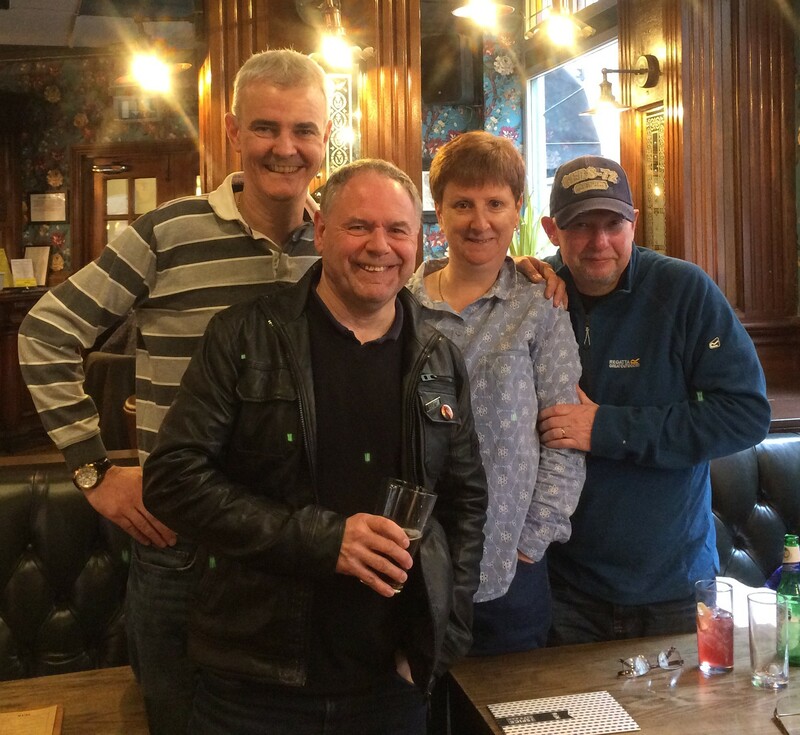 I was in London yesterday for a meet with Billy and Alison Fletcher and Dave Linwood. I made my way back across London to St Pancras get the train home around 2.45 pm – this was the time the shocking terror attack in Westminster was taking place. By the time I was back in Bedford in StudioMix working on the Evenings With book, the terrible news of the attack was unfolding. 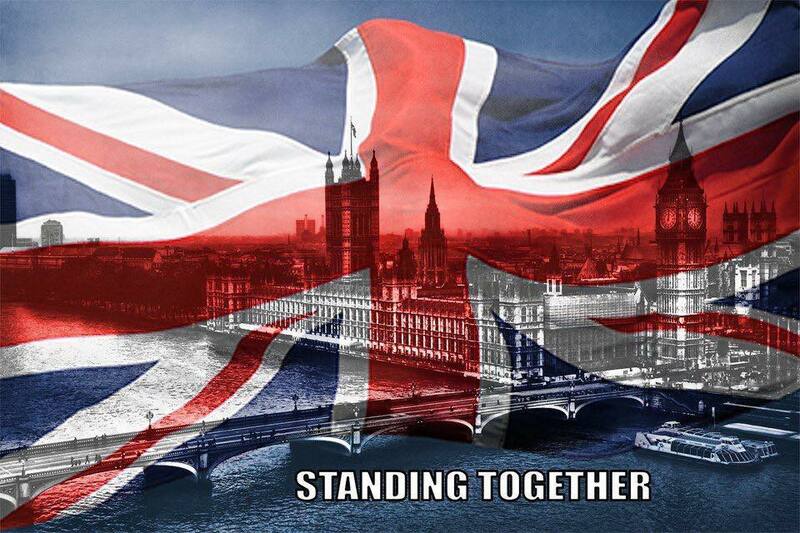 I am sure I speak for all reading this in offering condolences to all those affected by these senseless actions – particularly the family and friends of PC Keith Palmer who tragically lost his life protecting our democracy. We also praise the emergency services and police who reacted so quickly to this attack. The spirit of Londoners remains defiant – standing together . The terrorists will never win. 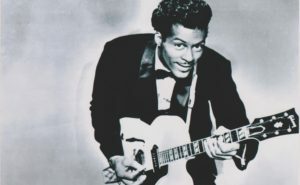 ‘’You don’t know what you got until you lose it’’ sang the great John Lennon on the track What You Got on his Walls & Bridges album…and that statement is entirely appropriate in the case of Chuck Berry. 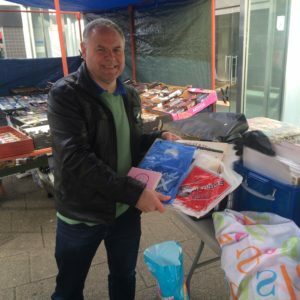 I may not have played a Chuck Berry record in a good while – but as his influence resonates in the work of so many of my favourite artists – Led Zeppelin, The Rolling Stones and The Beatles to name but three, I didn’t really feel the need to. Now he passed on, I certainly do and listening to all those gems we know so well again – and looking at the YouTube footage, it makes me realise how important he was in forming the backbone of so much great rock’n’roll…and also what a pioneering on stage showman he was. 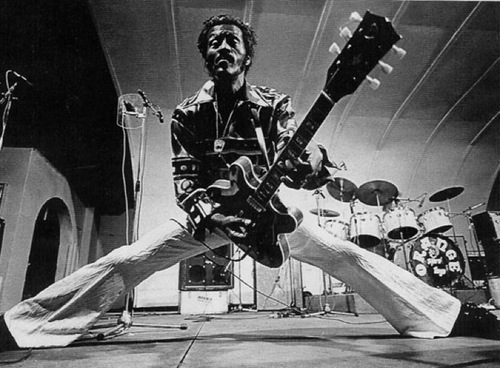 Chuck Berry what a legacy… his influence it will shine on and on…RIP. 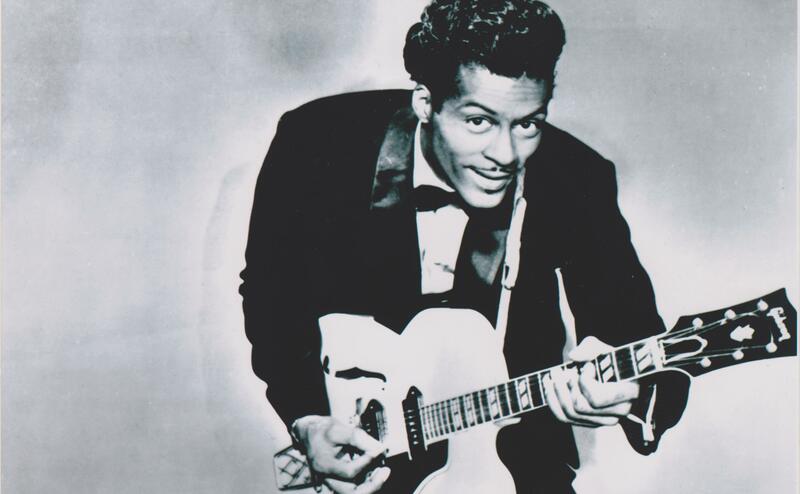 It’s more than evident that the young Jimmy Page was hugely influenced by Chuck Berry -both in guitar style and showmanship. Robert, JPJ and Bonzo shared that enthusiasm and it transferred itself onstage with Led Zeppelin during the marathon rock’n’roll medlies they performed during How Many More Times and Whole Lotta Love circa 1969 – 1973. 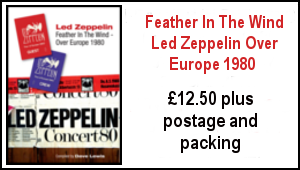 There’s also that wonderful 1973 soundcheck where they reel off several rock’n’roll standards including Chuck’s Nadine, Reelin’ And Rockin’, Around and Around and School Days. Last Friday at their gig at the Huntingdon Hall Worcester Robert Plant joined them for a version of When The Levee Breaks. 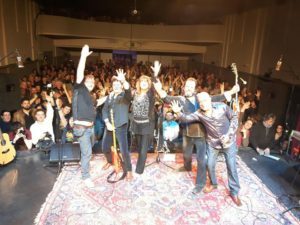 Beginning the year on a high with a triumphant ‘Full House’ during London Blues Week at the legendary 100 Club in January, 2017 sees a select series of UK dates to follow the London show and her return to Europe for further sold-out shows, where the French press call her “Princess of Rock”. 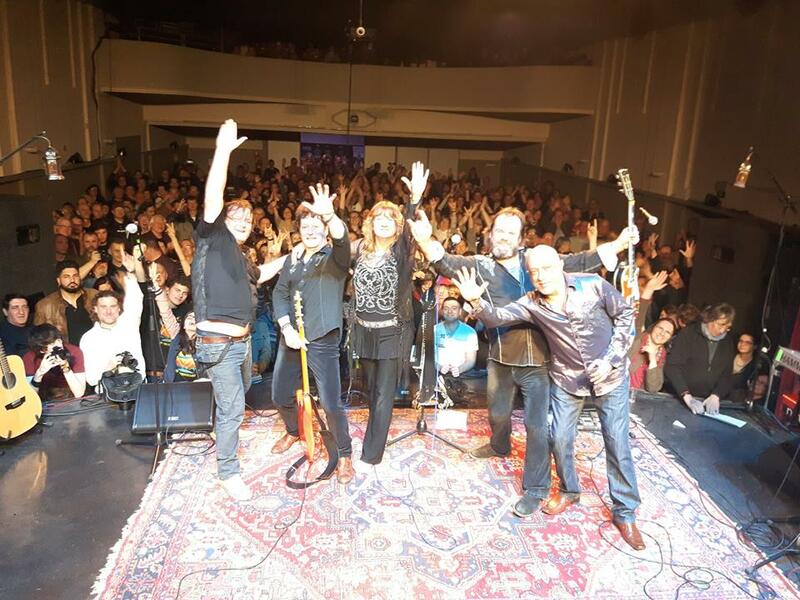 Worldwide festival favourite Deborah Bonham and her powerful band have just been confirmed to accompany the legendary Free, Bad Company and The Firm vocalist Paul Rodgers on his FREE Spirit UK tour, as he revisits his phenomenal catalogue with one of music’s seminal blues-rock bands. ‘For You And The Moon’ along with previously unreleased tracks from that period. Over the last few years Deborah has sung on stage with Paul Rodgers (Deborah’s mesmerizing performance at The Royal Albert Hall as his guest received a standing ovation at the sell-out concert), Nazareth’s Dan McCafferty and more recently, Robert Plant stepped on stage unannounced to a delirious crowd at Deborah Bonham’s show to perform Led Zeppelin’s ‘When The Levee Breaks’ with her band and then Johnny Kidd & The Pirates’ classic, ‘Shakin’ All Over’ with Deborah, delighting the crowd with their obvious shared, magical chemistry. The “Stairway To Heaven” copyright case is heading towards a federal appeals court. The lawyer for the plaintiff, Francis Malofiy, filed a brief in the ninth circuit federal appeals court (which you can read in full here) in which he claims that the June 2016 trial was unfair. Malofiy claims the trial made an error by not allowing the jury to hear the original recorded version of “Taurus,” the song by Spirit that he claims Led Zeppelin copied. 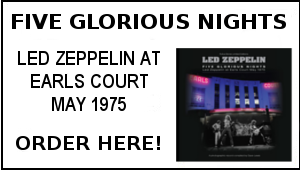 He also claimed that the court’s 10-hour limit for each side was restrictive, and said that Led Zeppelin’s expert witness Lawrence Ferrara should have been excluded because he had previously analysed both songs for Led Zeppelin’s publishing company. Remember last week when we reported that Jimmy Page was rumoured to be in “active discussions” to perform at the “Oldchella” Desert Trip music festival in 2018? Well, it turns out that the “Oldchella” part was a euphemism, and that the rumour is actually that Page, Plant, and Jones are in talks regarding Led Zeppelin’s fiftieth anniversary in 2018. Ramble On Radio host Brian Gardiner explained the rumour in the latest episode of his podcast. 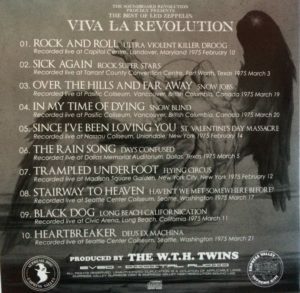 The first photographs have been published of “Viva La Revolution,” the promotional disc released by Japanese bootleg label Empress Valley. 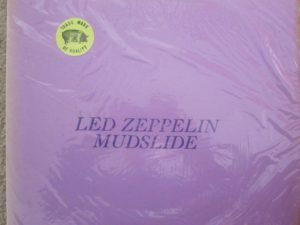 The disc includes “Heartbreaker” from “Deus Ex Machina,” the upcoming soundboard release of Led Zeppelin’s March 21, 1975 Seattle show. 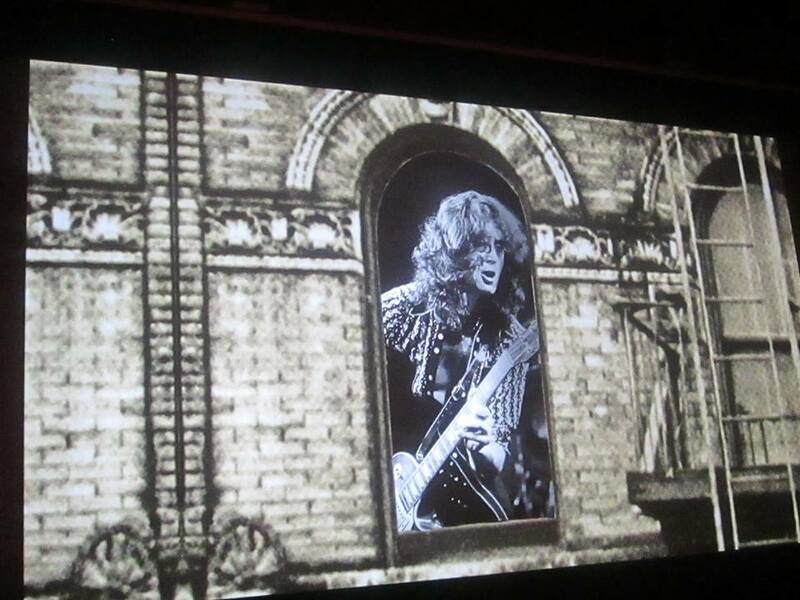 The original artwork for “Led Zeppelin” is on display at the University of Brighton in the UK until April 7. 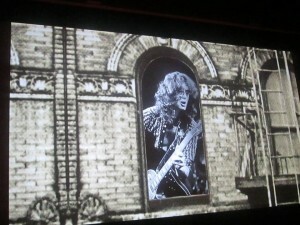 Led Zeppelin official forum member “zola” attended the private view of the exhibition and photographed artist Georgie Hardie as well as the original “Led Zeppelin” artwork. You can find out more about the exhibition here. Jason Peterson, the administrator of Led Zeppelin forum Royal Orleans, died on March 12. Peterson, known online as “Presence,” had been diagnosed with stage IV blood cancer Peripheral T-cell lymphoma. You can donate to his family’s GoFundMe page here. 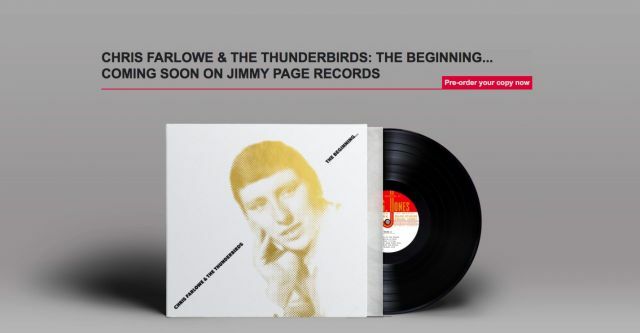 Jimmy Page’s website announced on March 13 that Page will release “The Beginning…” an album of tracks originally recorded by Chris Farlowe in 1961. The 1961 studio session was produced by Page and was his first time working as a producer. 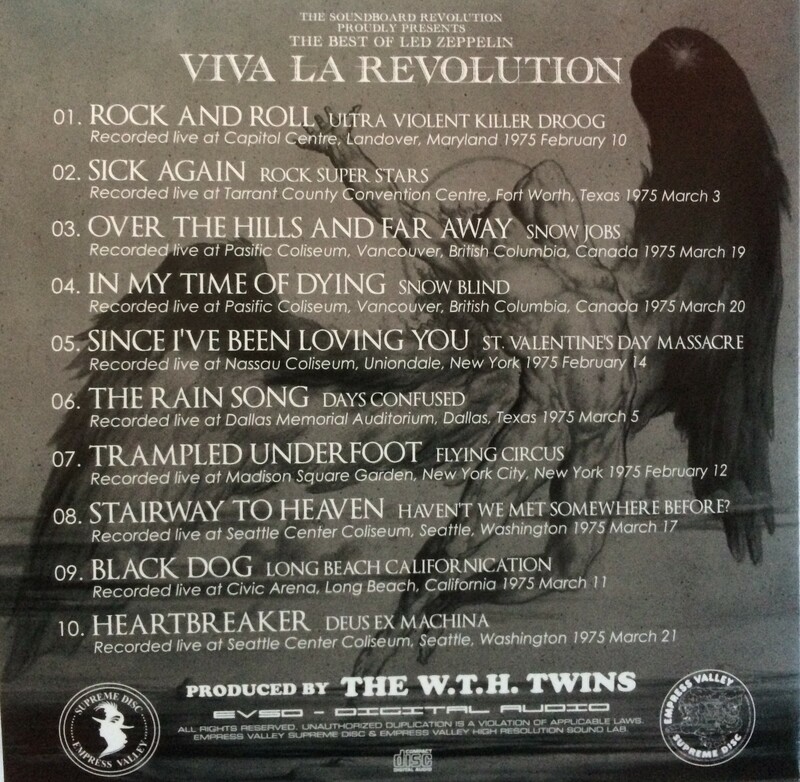 The 12-song album will be released on Jimmy Page Records on April 30. The album is being released in two editions: A standard vinyl/CD edition with liner notes by Page and Farlowe that costs £19.61, and a deluxe edition signed and numbered by Page and Farlowe that costs £196.10. You can hear one track from the upcoming album, “Money,” here. 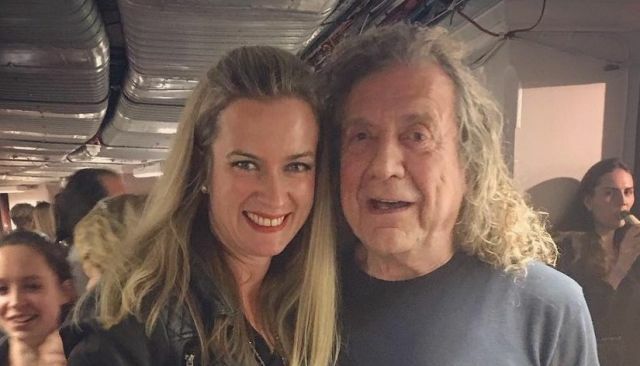 Robert Plant performed with violinist Nigel Kennedy at the Royal Albert Hall in London on March 14. Plant joined Kennedy for two tracks: A cover of “Hey Joe,” and a performance of “Kashmir.” Plant brought along Sensational Space Shifters members Justin Adams and John Baggott for the performance. The “Kashmir” performance was significant as it was the first time Plant has performed the song since Led Zeppelin’s 2007 show, and also the first time that he has performed it in full without Jimmy Page. Watch a video of Plant performing “Kashmir” on Facebook here, and the same video on YouTube here. You can also hear our audio recording of “Kashmir” here, and our recording of “Hey Joe” here. Plant shared Rolling Stone’s article on the performance (which featured our audio) on Twitter. He also retweeted a tweet sent by the Royal Albert Hall which included a photo of Plant with Kennedy’s band soundchecking for their performance. April 22 – Jimmy Page and The Black Crowes Live at Jones Beach may be released on vinyl for Record Store Day. May – The March 21,1975 Seattle soundboard bootleg “Deus Ex Machina” is rumoured to be released this month. 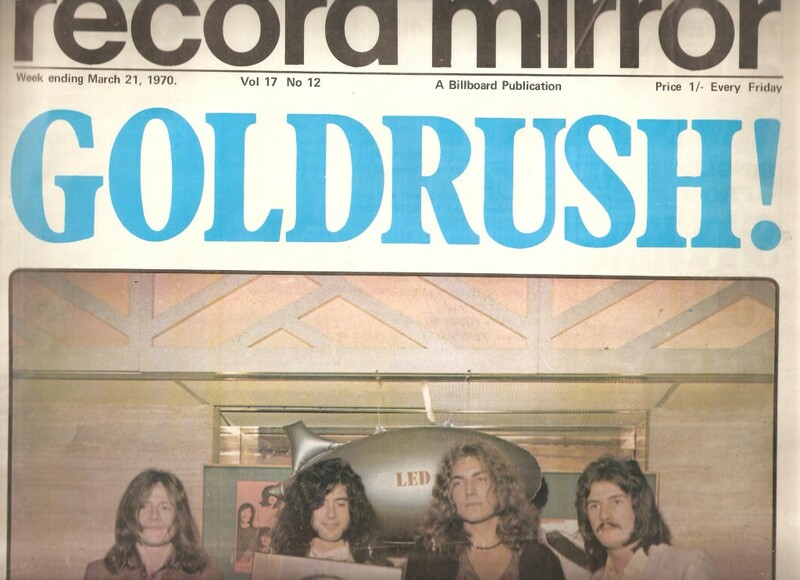 As mentioned in the Led Zeppelin news section above – there is a complete soundboard recording soon out soon titled Deus Ex Machina – a mouthwatering extract has been featured on the now Viva La Revolution, the promotional disc released by Japanese bootleg label Empress Valley. See YouTube clip below. I could not resist purchasing the promo and it’s a great compilation of 1975 US tour performances – full review to follow. 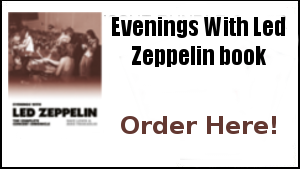 47 year ago on March 21 , Led Zeppelin flew out for the first date of their fifth US tour. I was well aware of all this because I’d purchased a copy of Record Mirror that week. 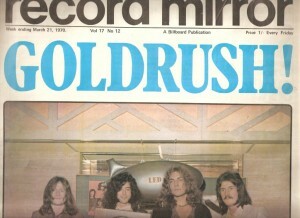 Under the front page headline of ‘Goldrush’ and a wonderful colour photo from the previous December’s awards bash, it revealed the bands current plans. Interestingly enough it reported that a film crew would be on hand to capture the tour. Film of their European tour? ,Jimmy in the studio?, Robert on the farm? A film crew with them in America? There’s no evidence to suggest much of that occurred…but if it did where’s the footage now! I can remember so much about that day in detail: the records played over the PA before the teams came on which included hits of the time Brotherhood Of Man’s United We Stand and Steam’s Na Na Hey Hey Kiss Him Goodbye, the atmosphere in the Chelsea paddock where we stood ( a fantastic view near the pitch) as Ian Hutchinson scored twice in the first half, the pie we had in a café after the game and the hitch hiker we picked up on the A1 going home. 45 years have done nothing to dull the memories of an awesome day for this then 14 year old. Little did I realize that aside from the match programme, three years later I’d have another remnant of that day. 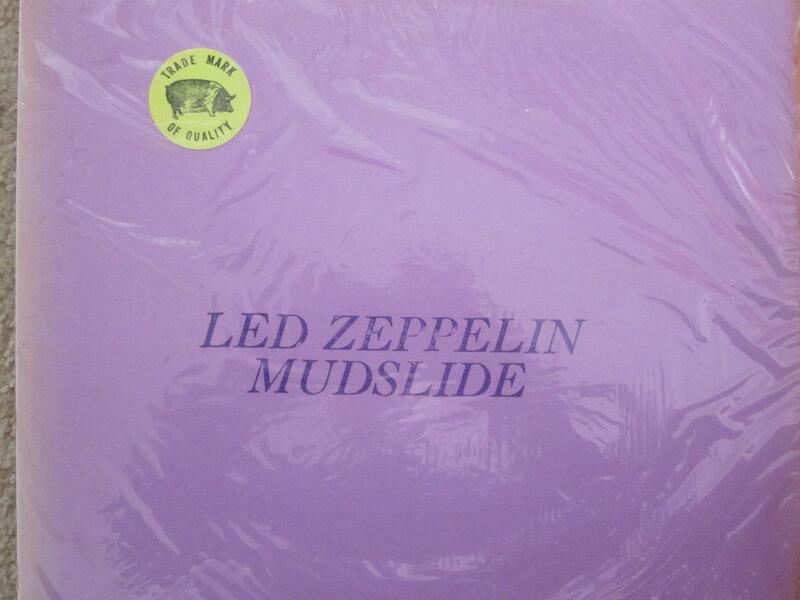 This was in the form of the bootleg LP that captured Zep’s Vancouver show of March 21st. 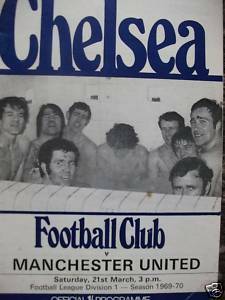 In fact whenever I hear the opening drum roll from Bonzo,Jimmy’s guitar warm up and Robert’s ‘’Everybody feel alright!’’ intro, I always think back to that spring Saturday in March 1970 when I was in amongst the then soccer elite in Stamford Bridge. Friday treats at the Vinyl Barn – on a rather cold St Patrick’s Day last Friday at the Vinyl Barn, a bit of Bacharach, Sinatra and Blood Sweat & Tears plus an excellent Island Records compilation CD box set – and a couple of original retro seven inch record bags via Darren namely Sound FX and Our Price Records, both of which I would have seen a fair few of when I managed those stores right across the road in the 1980s and 90s. You gotta love a bit of nostalgia! Thanks Darren Harte ! 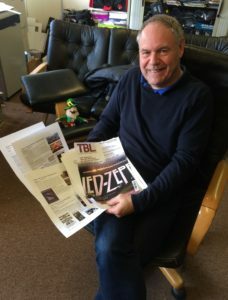 Another full on week here and after the high of last Tuesday’s Robert Plant appearance at the Nigel Kennedy Royal Albert Hall concert (and thanks for all the great feedback to my review of the night), it was back down to work on the Evenings With LZ book project. Some good progress has been made and we are now nigh on a wrap with 1969 and 1970 now beckons. Mick and I also began initial work on the next TBL magazine – issued 43. 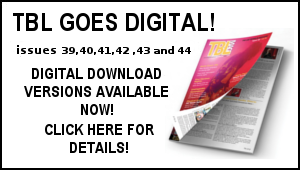 This is some months off as yet be we will be chipping away at the mag in between the book in the coming weeks. As mentioned above, I was in London yesterday at The Spice of Life pub where it was great to hook up with Billy and Alison Fletcher and Dave Linwood. Led Zeppelin sing Chuck Berry..
Best wishes to those affected by the appalling London carnage inflicted by a “British” man who apparently was radicalized on numerous trips to the Gulf region, and Saudi Arabia in particular. It astounds me that Saudi intelligence is unaware of when foreign nationals, especially westerners, are moving about inside of their territory and they have no comment on with whom they are meeting, and also on whose dime they are travelling.